Over the last 20 years I have come to believe that Exodus 34.6-7 is perhaps one of, if not the, most important texts in the whole Bible. This is fascinating to me because growing up and going to church all of my life previously I can testify I never heard of it. And since encountering the text I can also testify that many many believers know almost nothing of this Mt Everest of texts in the Bible. This is THE self-revelation of God. There are three terms that leap off the page here that the Father of Jesus claims for himself. Yahweh claims to be “rahum” merciful, “hannun” gracious, and “hesed” that is full of steadfast love. These are stunning words. rahum comes from “rehem” which literally means “womb” and evokes the image of a mother’s compassion for her newborn child (what an evocative word!). Hannun denotes God’s inclination to bestow favor freely without expectation of return. Hesed is a hard word to put in English but is one of the most important words in the Bible. Steadfast love is what God is and it is so significant that God uses it twice. When I have called attention to this text it is not uncommon for many to fixate on a misconception regarding the third and fourth generation. We have to clean the wax out of our ears!! The author is creating an intentional contrast between a “thousand generations” that receive grace vs three or four. The emphasis is the astounding greatness of thousands (not just a thousand but thousands) vs three or four. The setting of this divine self-revelation further accents the supernova of grace that just exploded in the presence of Moses. When I was biblically illiterate, (I speak of myself and no one else) because I was constantly playing hopscotch with the text, I never once noticed how important this text was to the Bible itself. Not only does this text appear again in whole or in part again and again and again in the Bible but it appears in all types of biblical literature. Moses himself is the first to anchor his life and death in this text. Numbers 14 in the face of staggering faithlessness and sin the man quotes this back to God (Num 14.17-18a) and the Father of Jesus replies “I do forgive, just as you have asked” (v.20). God’s Supernova in Exodus 34.6-7 is found in Isaiah (54.9-10) Jeremiah (32.18) Micah (7.18-20) and in Daniel (9.4). Two prophets deserve special mention and that is Joel and Jonah. The concluding words of Joel 2.13 and Jonah 4.2 are identical in the Masoretic Text (relents from punishing, “weniham ‘al-hara’a). Now what is so significant about these two texts is that Joel is addressed to the People of God while Jonah is addressed to the ENEMIES of the People of God. God’s self-revelation is not only for the church people but for the Assyrian! God’s mercy, grace and steadfast love cannot be contained nor controlled by church people!! 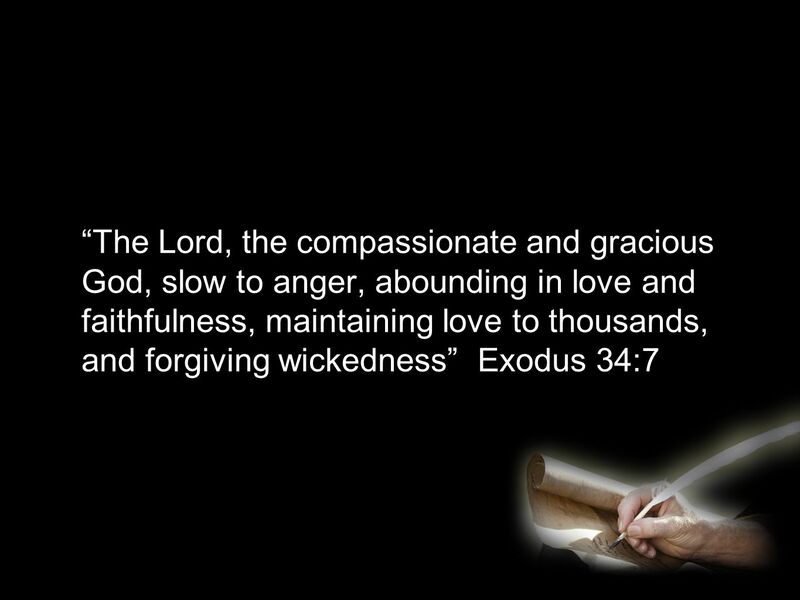 Exodus 34.6-7 is known as the Thirteen Attributes in Judaism. They are recited on many holy days and have an analogous function as the Lord’s Prayer or the Apostles Creed in many Christian traditions. THIS IS WHAT WE BELIEVE! These attributes are what WE are called to be. We emulate God’s compassion, God’s graciousness, God’s patience, God’s kindness, God’s steadfast love, and God’s forgiveness. In fact it almost sounds like … the Fruit of the Spirit!!! Exodus 34.6-7 appears over and over in the Bible. We have only scratched the tip of the proverbial iceberg. In the New Testament it also appears but I just never knew that because I did not have eyes to see or ears to hear. John 3.16 is a statement about the God who proclaimed Ex 34. When John wrote later that “God is love” (1 Jn 4.16), where so many disciples think the apostle is stating something new he is simply paraphrasing Ex 34.6-7 and its dozens of echoes in the Bible. I am so glad I have discovered Exodus 34. Those who know me know I harp on this text a lot. I am so glad its significance is something the Spirit has been teaching me now for 20 years. Sometimes it takes a while because the blindness we have (rooted in our own prejudice at times … after all we must ignore the “Old Testament!) is so hard to overcome. The sooner we claim Exodus 34 as did Moses, the Psalmists, the Prophets, Jesus, and the Apostles the closer to the God of the whole Bible we will be. Jesus IS Exodus 34.6-7 in the flesh. His ministry and his cross are Exodus 34.6-7 in 3D. I was impressed. How did he know I found coffee irresistible after lemon meringue pie? Very astute young man, this Stanley. I should see if he is looking for a clerkship. Another question to consider (and perhaps the one that is addressed most often in a discussion of the withered fig tree) is whether or not Jesus cursed the tree before or after the temple was cleansed. Since Matthew records this event before the cursing of the fig tree (21:12-19), and Mark places the cleansing of the temple after Jesus cursed the tree (11:15-19), it is supposed that one of the two writers was mistaken. 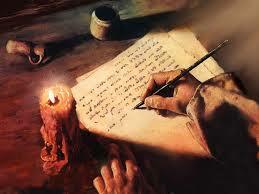 The truth is, however, Matthew’s account is more of a summary, whereas Mark’s narrative is more detailed and orderly. “Well, there have been some fairly lengthy books written laying out alleged contradictions, and some are pretty tough to sort out. This is one. But there are others. “Ah, we should talk about that,” I said. “It’ll give us time to order our entrées.” I ordered a pulled pork sandwich. Stanley went for the hamburger.